Portable, easy to store and ready whenever you need them! You need a highly portable light source whether you're on the trail, waiting out a storm or finding your way at the office. 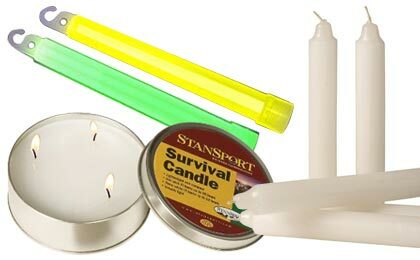 From long life candles to versatile glow sticks we have the best in cost effective emergency lighting.